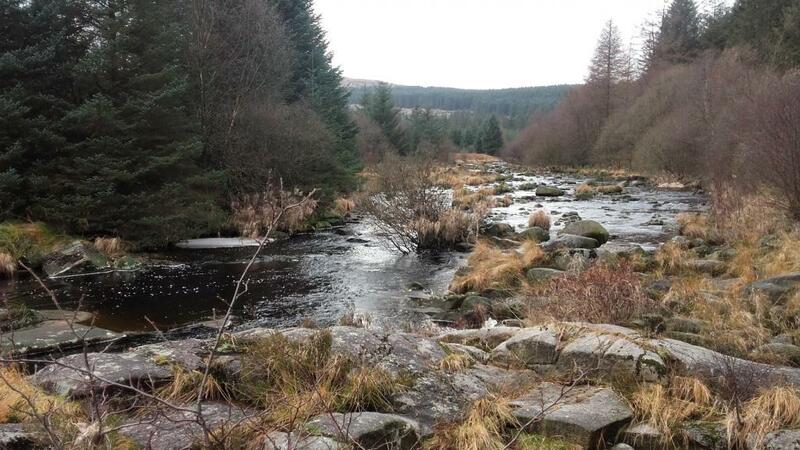 The lower Black Water of Dee, downstream of the Clatteringshaws Dam, was studied in 2016 by GFT to investigate how the fish populations have reacted to an increase in compensation water flow which had started in 2012. The study also examined the habitats present along the watercourse and considered whether further improvements to instream habitats, riparian habitats or water flows were required to assist in the recovery of the fish stocks. The recommendations to be delivered by GFT early 2019. 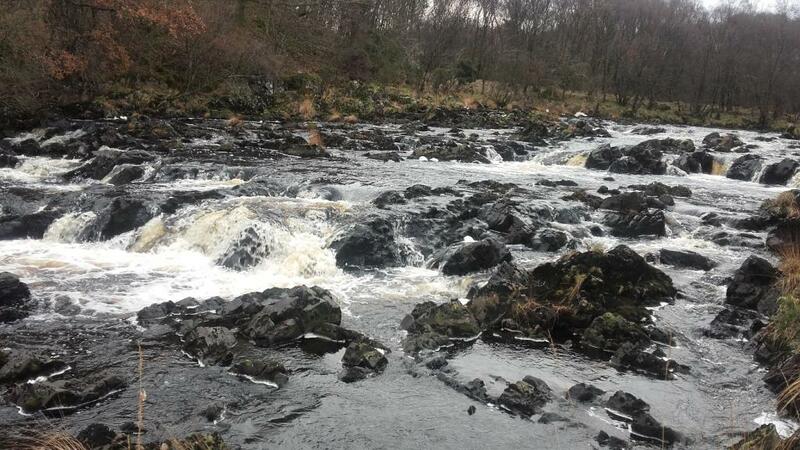 The Black Water of Dee is the largest tributary of the Kirkcudbrightshire Dee. Nearly 20km of the lower Pullaugh Burn and Black Water of Dee is accessible to migratory fish but very few fish were here due to the setting of a low compensation water flow (from Clatteringshaws Dam), water quality problems originating from the poor designed surrounding Sitka spruce plantations and degraded habitats. It was considered a priority to restore fish stocks to the lower 20km of the river here. 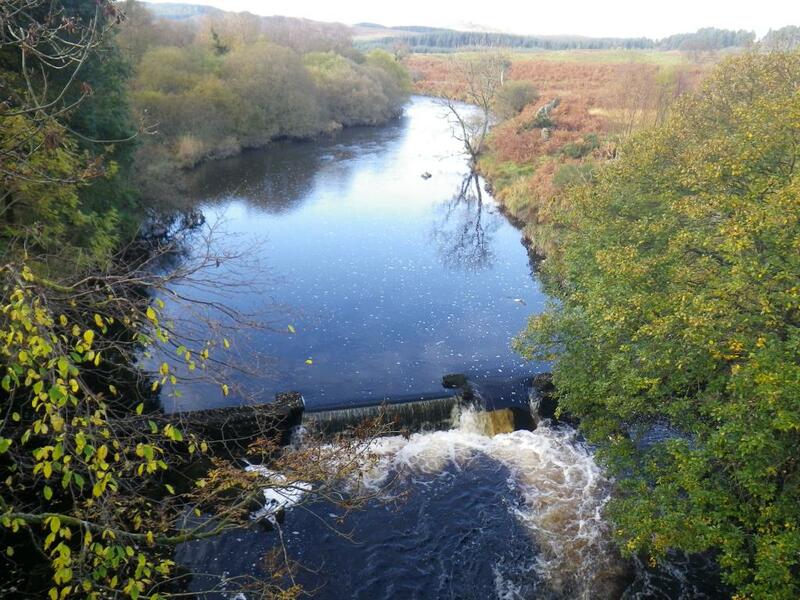 In December 2012 water flows were improved by Scottish Power increasing the compensation flows from the Dam and re-establishing water flow down the lower Pullaugh Burn. 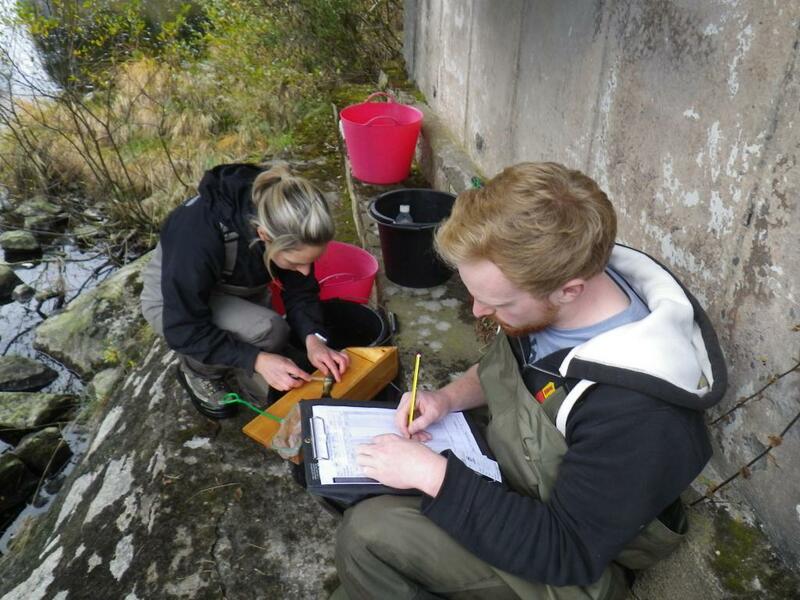 GFT undertook a study in 2016 to look at the present health of the fish stocks and completed a habitat survey so that recommendations could be made as to what restoration work was required to recover the trout and salmon stocks. * Electrofishing of 11 sites found no salmon but did record trout at all sites albeit in low numbers. This was an improvement compared to trout densities before flows were increased in 2012. * To date, salmon have not shown any lasting improvement in numbers or distribution from the increased water flows and this could be due to a lack of spawning habitat and continuing difficulties of upstream access over some instream structures, bedrock areas and waterfalls. 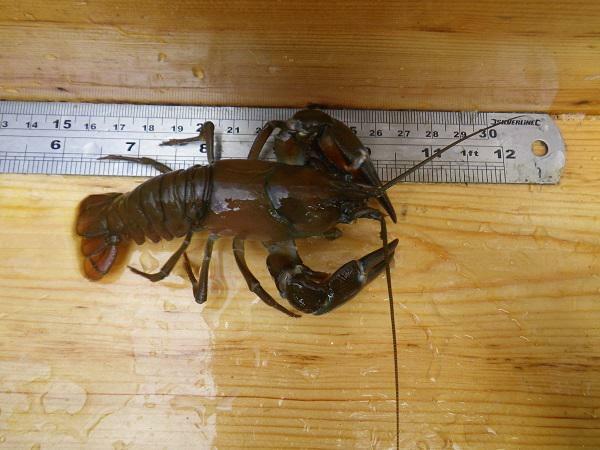 * North American signal crayfish were caught at the lower two electrofishing sites suggesting they are moving up from Loch Ken. 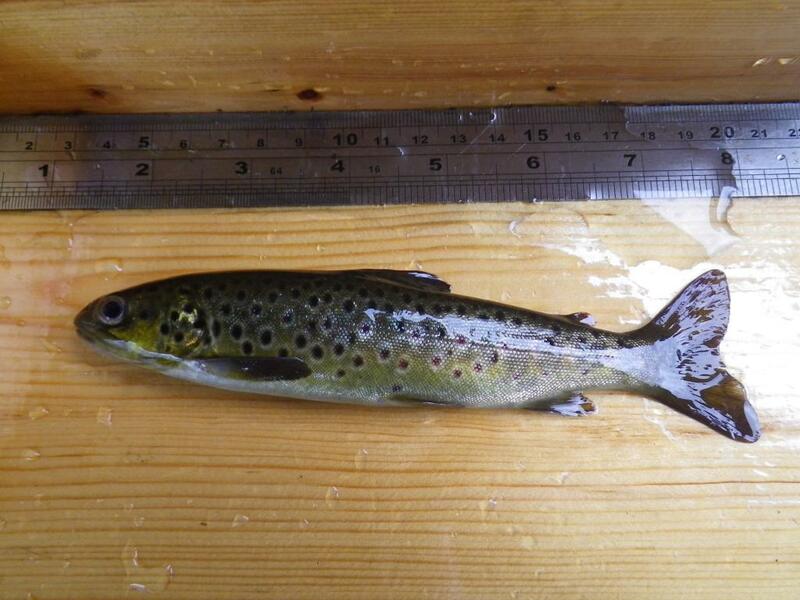 * Scales were collected from 24 trout parr caught during the electrofishing survey. Growth rates were as expected for trout in similar waters in Galloway. * Acidification (low pH) was found to be a concern in the Pullaugh Burn and would be expected to reduce the survival of salmon and trout eggs. In the Black Water of Dee the pH gradually increases as you move downstream. * Habitat suitable for parr aged salmon and trout dominated all areas surveyed with very few areas suitable for salmonid spawning (especially salmon) were found in the survey. This is due to the dam stopping the natural movement of substrates from further upstream. It is recommended that suitable smaller substrates are added to the river. * A number of waterfalls and rock ledges which were considered impassable to upstream migrating fish at base compensation water flows. The release of carefully timed freshets from the Dam could aid upstream migration of adult spawning fish. * Conifers (both planted and from natural seeding) were found to be in close proximity of the watercourses along most of the surveyed sections and causing various problems. These trees should be removed from buffer zones. * Few deciduous trees were present on river banks. It is recommended that suitable native trees are planted to help provide dappled shade and input woody debris. 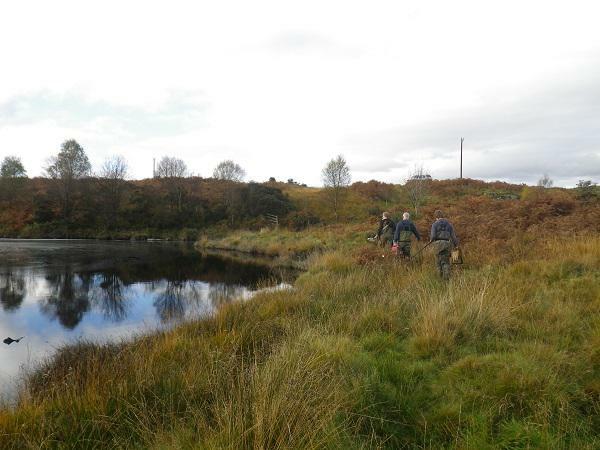 In early 2019 the GFT plans to start a restoration project as part of the Galloway Glens Partnership Project on the lower Black Water of Dee to address the concerns raised in the 2016 survey. The work so far has been supported by the Scottish Power Foundation.